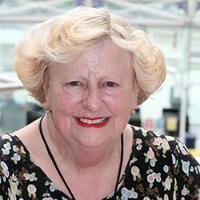 Diana Anderson (H index 59) holds the Established Chair in Biomedical Sciences at the University of Bradford. She obtained her first degree in the University of Wales and second degrees in the Faculty of Medicine, University of Manchester. She has 460+ peer-reviewed papers, 9 books, has successfully supervised 32 PhDs, is an Editorial Board Member of 10 international journals. She is Editor-in-Chief of a book series on Toxicology for the Royal Society of Chemistry. She gives key- note addresses at various international meetings. She is a consultant for many international organisations, including WHO, EU, NATO, TWAS, UNIDO, OECD.